Are you suffering from a form of back pain? 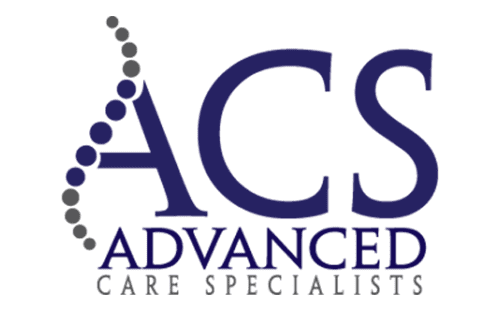 At Advanced Care Specialists in Racine and Mount Pleasant, Wisconsin, the staff of medical professionals provides various treatment options for pain management and getting you back on track to a more satisfying, pain-free lifestyle. Back pain can be triggered by the misalignment of the spine. That misalignment could be the result of a car accident, varying diseases, or many other causes. Your back pain can disrupt your daily routine and prevent you from leading a quality lifestyle. At Advanced Care Specialists, the staff focuses on biomechanical problems that may cause back pain. Such biomechanical problems like ruptured/bulging discs, sciatica, arthritis, and abnormal curvatures of the spine can result in different levels of pain. Back pain is a common occurrence, particularly lower back pain. Experts from the American Chiropractic Association estimate that as much as 80% of the population experiences a back problem at some point causing back pain to be the #2 reason Americans end up in the ER. Back pain is a common reason for absence from work and for frequent doctor and chiropractor visits. Although back pain may be painful and uncomfortable, it is not usually serious. It can affect people of any age, but it is significantly more common among adults 35-55 years old. The American Chiropractic Association says that back pain is associated with the way your bones, muscles, and ligaments in your back work and connect together. When do I need to see a medical professional for back pain? Persistent pain that does not improve and increases over time. Pain that continues for more than one week. Feelings of numbness or pain in the buttock, hip, and thigh that seem to come on with back pain. How do you identify the cause of my back pain? Your Advanced Care Specialists medical professional asks about your full medical history and conducts a detailed physical exam. They test for tender spots, a range of motion, deep tendon reflexes, muscle strength, and dermatomal sensations. You can also expect your medical professional to request imaging through X-rays, MRIs, or CT scans. By combing your medical history, back pain history, and examination results, and imagine (X-Rays, MRI, CT scan), your medical team identifies the cause of your back pain. To receive results or get an exam, call the office or schedule an appointment online to jumpstart your road to recovery. What are the treatment options to heal my back pain?